We Do Windows… and More! 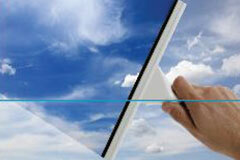 Move over traditional scrub and squeegee. We now feature cleaning with PURE WATER! 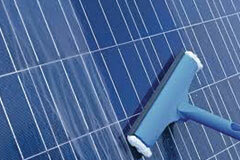 Dirty Solar panels can decrease performance and efficiency by up to 25-30% depending on the type of panel. Our excellent standards extend to our pressure washing, where we get amazing results and have gotten rave reviews from our customers! 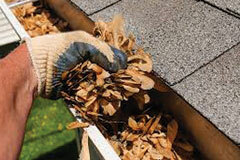 We may be the first and only users of the unique Gutter-Vac system in Maine. 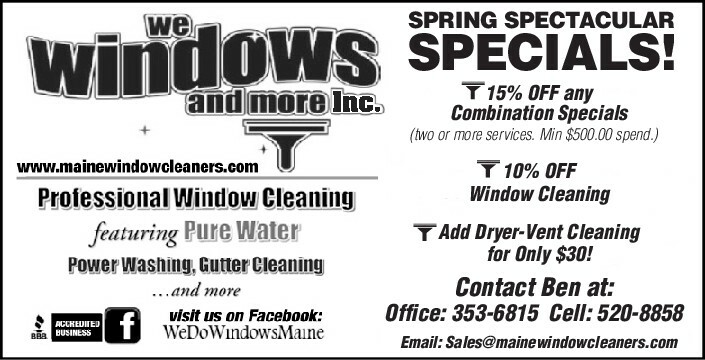 We’re hard working folks from Maine that believe that a customer deserves quality work…no, that’s wrong…great work…no, better yet, OUTSTANDING work from us at We Do Windows… and more! On short notice, as I was entering a new house that had lots of windows and lots of construction grime, the We Do Windows crew jumped into action and made the place shine. Meticulous, careful, considerate — I highly recommend this local business. Thank you for an outstanding job! You bet, I would call on them for future jobs. Great job very pleased. Very professional, polite and fast. Pleasant to work with and accommodating. Definitely we will be repeat customers! Thank you … you’re the best!! My goodness! They were so professional and paid attention to every single detail. We moved into our new home, and it was overwhelming to me to try to clean all the windows. They did that AND MORE! 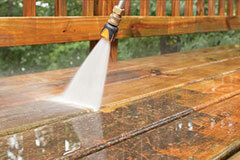 Our deck needed a power wash. I watched it make an amazing transformation. It looks like new! The windows are incredible. When they had an equipment problem and promised me they would be back in a week, they fulfilled that promise. So they will be my “go to” whenever I need work done. Scott [ a former Marine] inspects everything (even stuff I did not see). 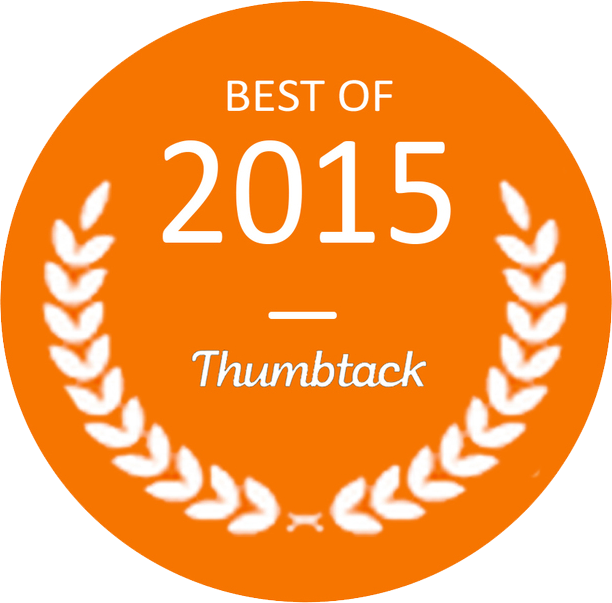 I am so highly recommending them! What a terrific job your crew did at our home today. Just walked into the sunroom and the light was streaming in through sparkling clear windows. Imagine daylight instead of smears, dust and pollution. And the power washing really took care of the mildew outside. Everyone was so professional, polite, committed and thorough. A pleasure to have in our home. Look forward to working with you in the future and will definitely recommend your folks. Tremendous service in every way. Prompt, professional, efficient, friendly. We were amazed at how clean our windows came out-it actually made the house seem brighter. An unexpected surprise: they did such a good job cleaning the screens, even the windows with screens seemed noticeably lighter.